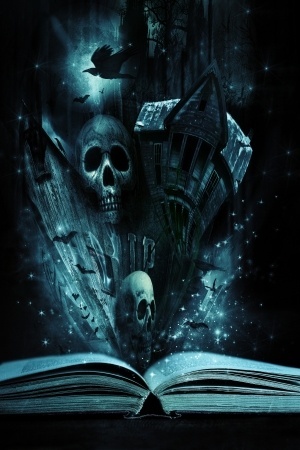 Do you enjoy ghost stories? I don’t like sad or scary fiction, and since ghosts are a consequence of death and are usually associated with violence, unhappiness, revenge, terrible secrets and unfinished business, they’re not a natural choice for me. Despite the caveat above, every October I get caught up in the atmosphere of approaching darkness, and ubiquitous Halloween/All Souls/Samhain imagery. Yesterday I was looking for something seasonal but not too scary to read, and thinking that unlike vampires, demons or shifters, ghosts don’t really lend themselves to romantic fiction. A furred, fanged or soulless hero is one thing, but an incorporeal one? I asked Mr. Google, and to my surprise, I discovered that Goodreads has a 95-book list called Ghostly Romance.